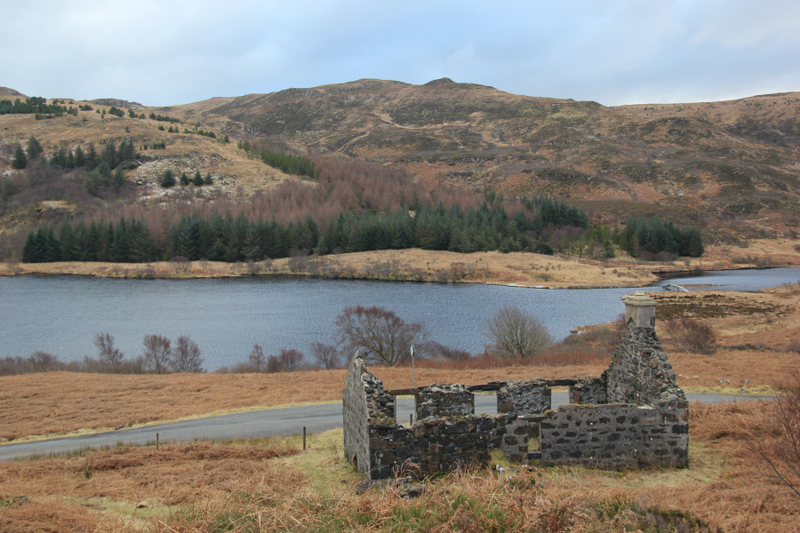 We set off this morning to ascend Ben Buie. 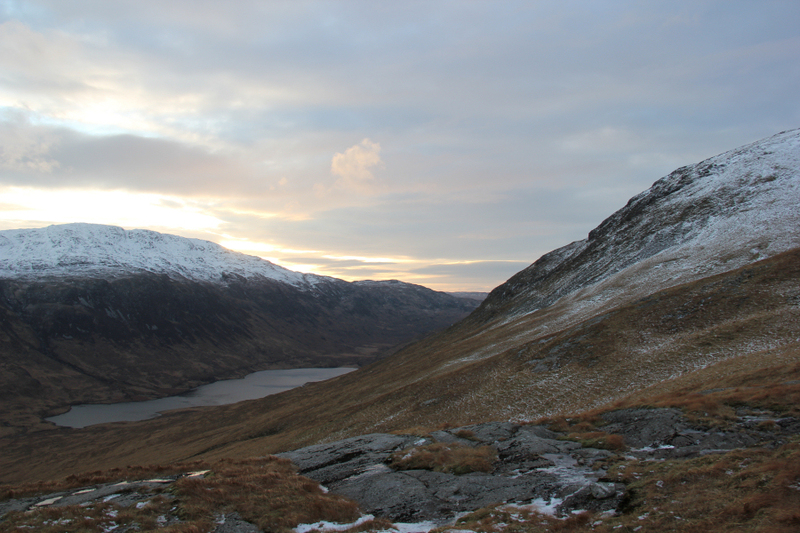 Instead of tackling Ben Buie via the standard approach from Lochbuie, we opted to undertake an ascent from the A849 to the North. I parked just off the road at the start of a track below Coire Clachach. 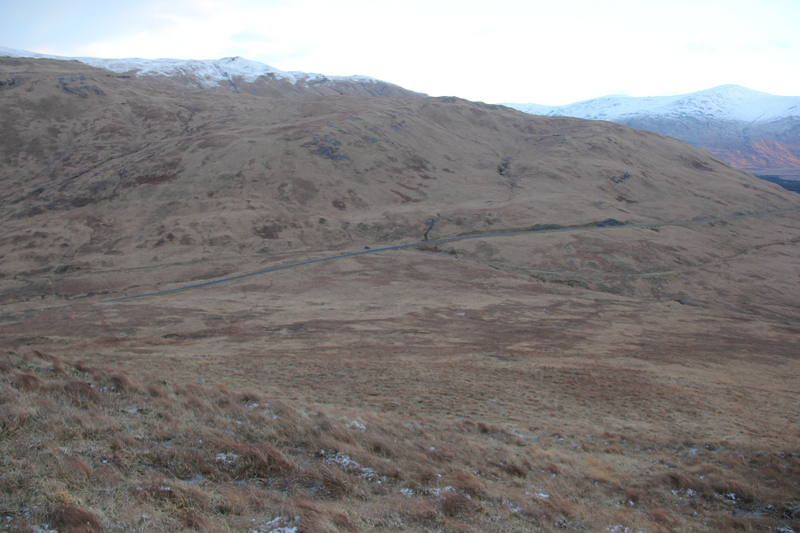 From the A849, we took to the hillside up frozen turf taking care to avoid numerous patches of ice. The weather was better than expected. 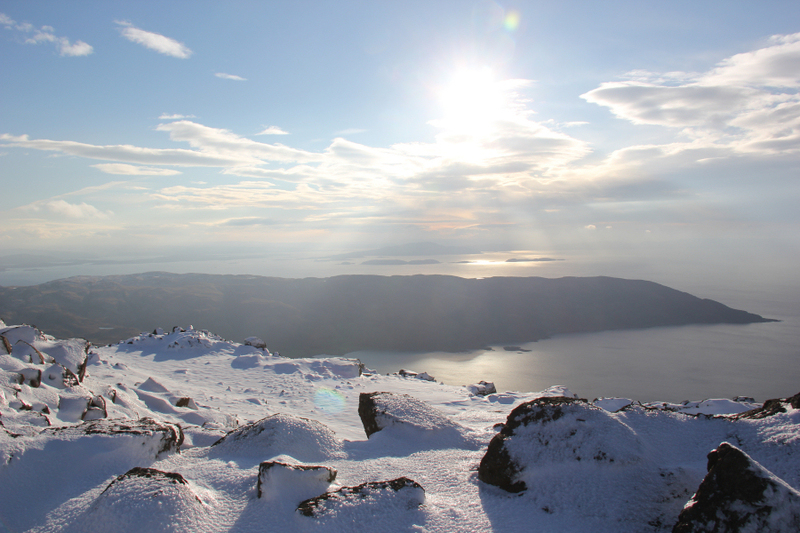 MWIS had forecast 50% cloud-free Munros on Mull. 100% would have been more accurate as Ben More was free of cloud all day. 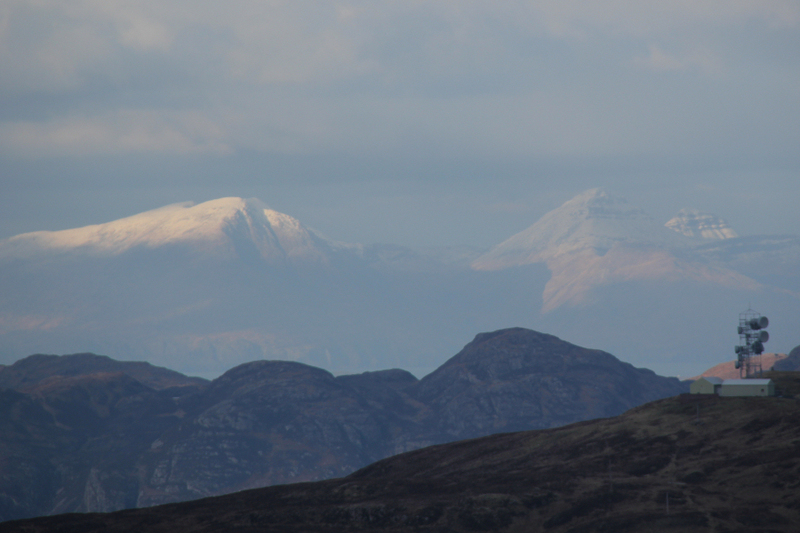 During the walk-in we did contemplate also ascending Creach-Beinn. 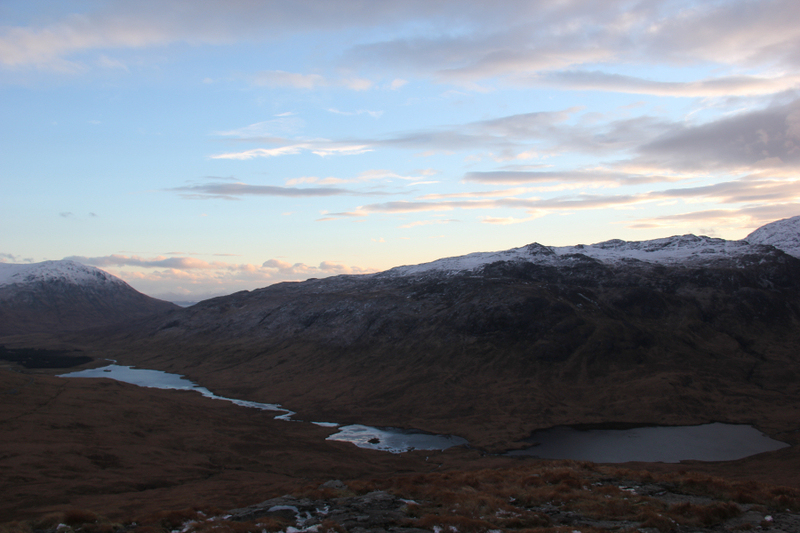 By the time we eventually reached the summit of Ben Buie, that option was ruled out. Just over half-way up the slope in the next photo, we swapped walking poles for ice axe and also decided to put on crampons. 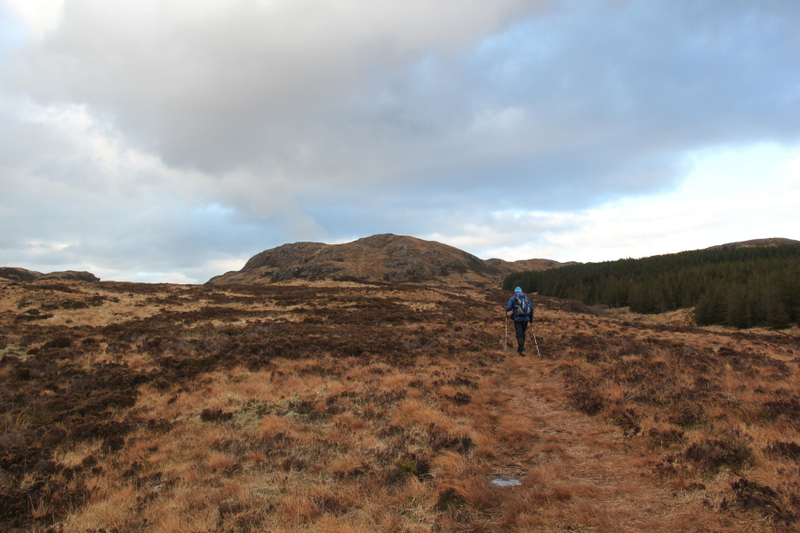 On reaching the top of Creag na h-Iolaire, Beinn Buie still looked a fair distance away, with lots of undulating terrain to cross to get there. 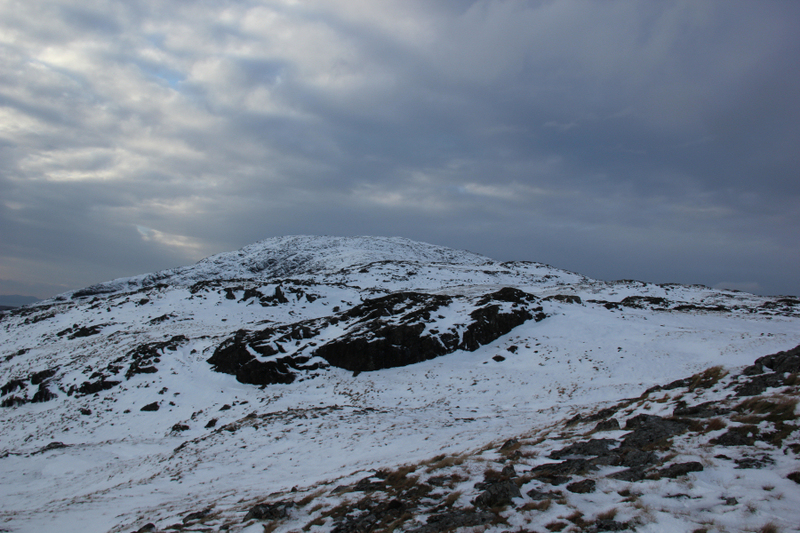 The majority of snow en-route to Ben Buie was nice crisp neve. 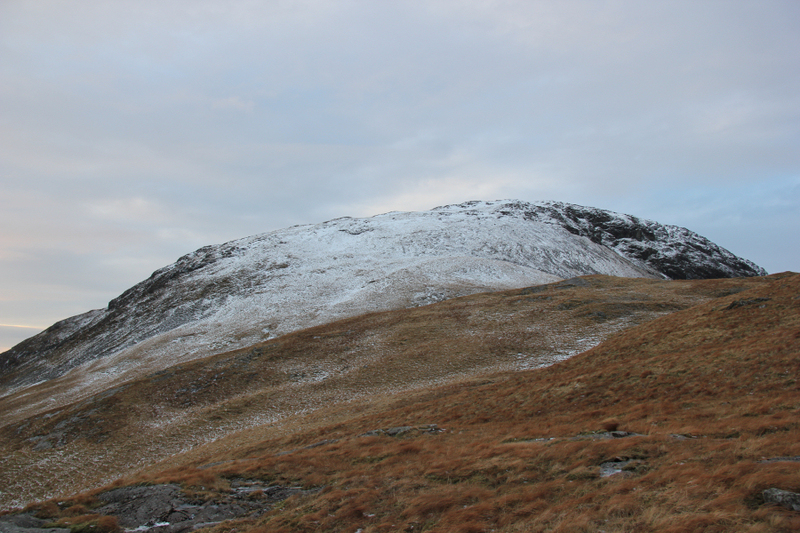 Before reaching Ben Buie, we ascended Cnap nan Gobhar, a Graham Top. 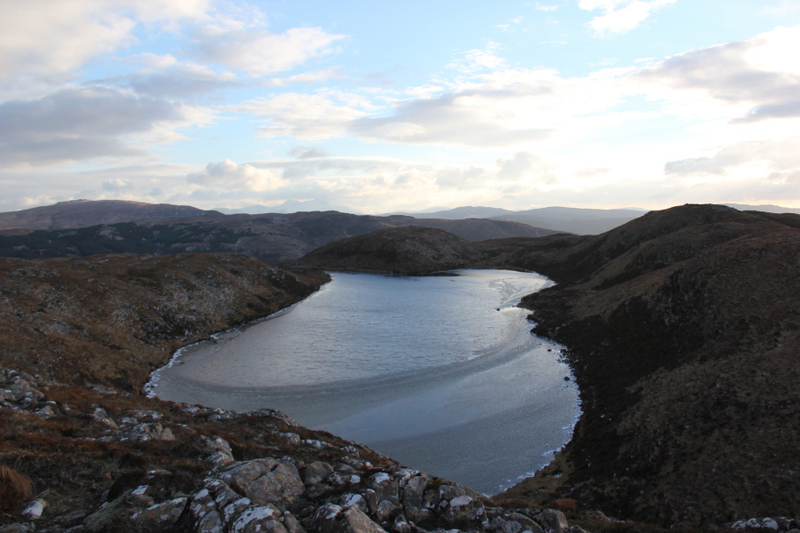 From the top of Cnap nan Gobhar, we took a small diversion to avoid the steep drop below the summit of Cnap nan Gobhar. 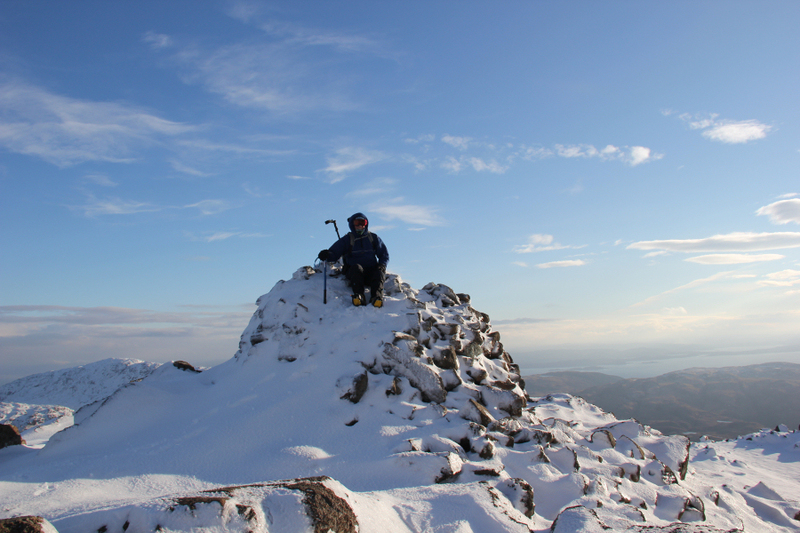 It was great to eventually reach the summit of Ben Buie. 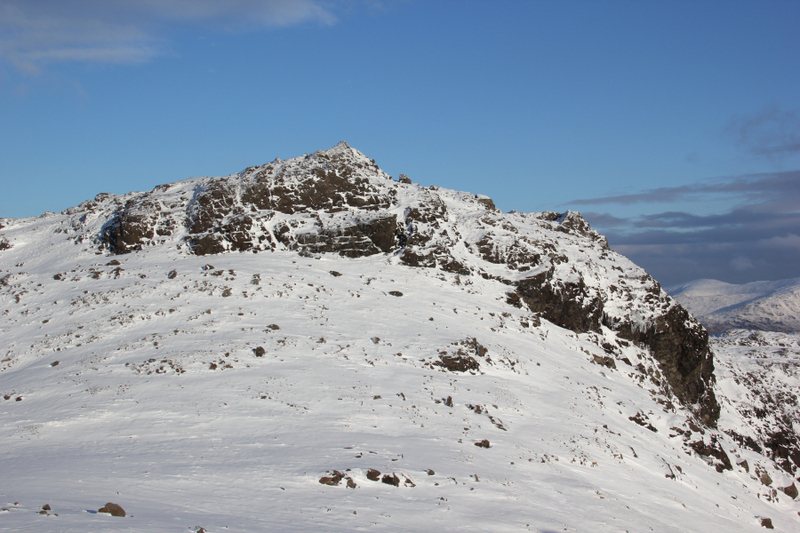 From the summit of Ben Buie, we reversed our in-bound route, following our crampon marks in the neve. 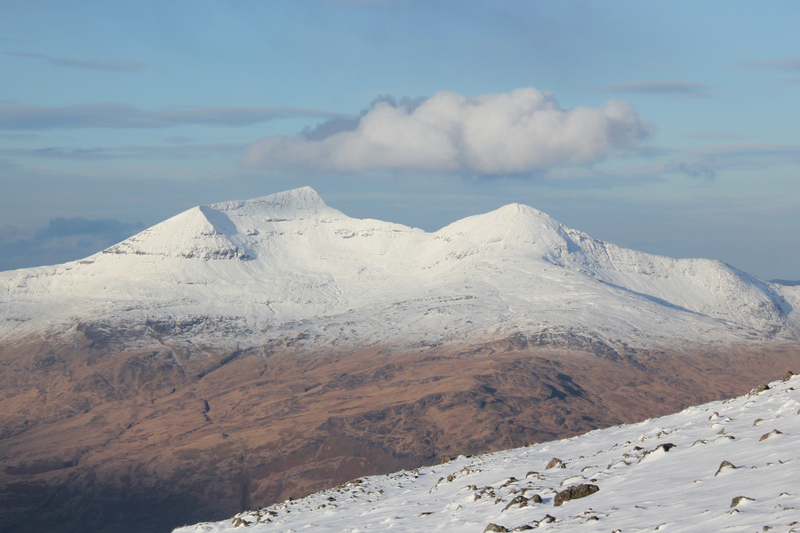 Ben More was looking particularly good today. 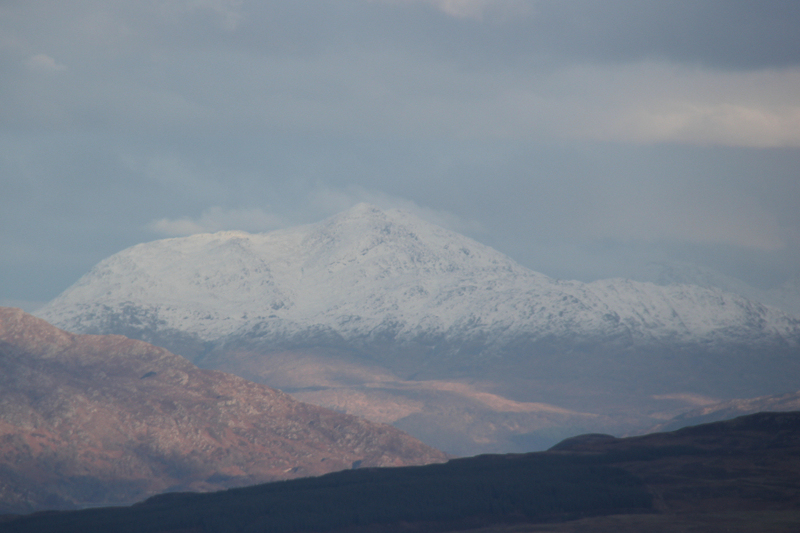 An ascent of Ben More via A’Chioch would have been superb. 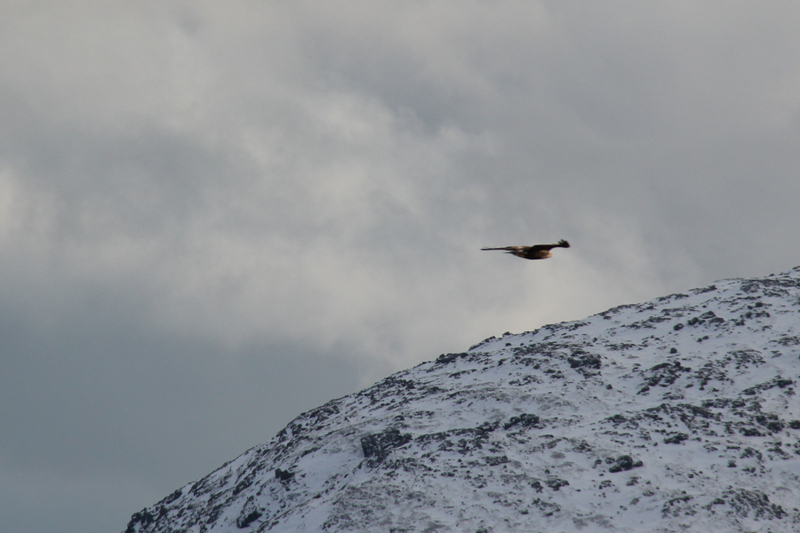 During the descent, we saw two eagles. Probably the same two eagles that we saw yesterday. On getting back to the car, we ruled out ascending another Graham as we would have been pushed for time. 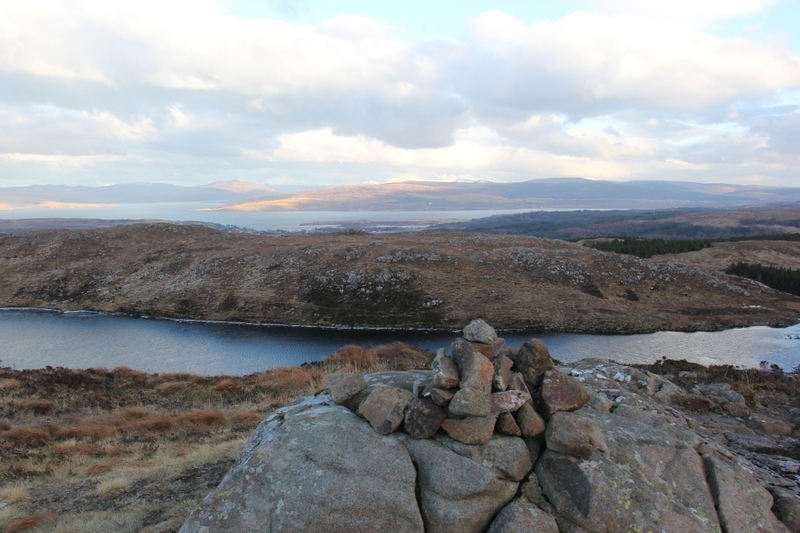 Instead we travelled to beyond Tobermory to ascend ‘S Airde Beinn, an easy Sub2000ft Marilyn. 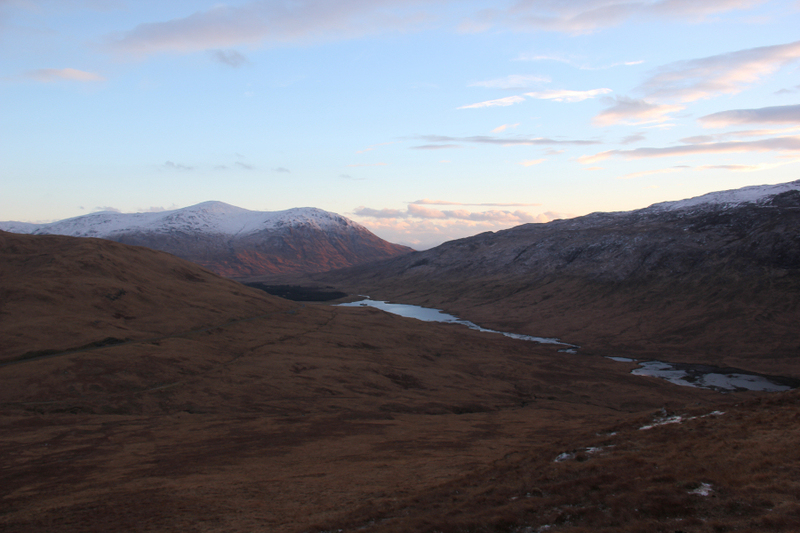 We parked in a small car park c.200m from the start of the track leading towards ‘S Airde Beinn. After walking 200m along the road, we climbed over a small fence to gain the start of the track leading towards ‘S Airde Beinn. The start of the track is next to the ruin. 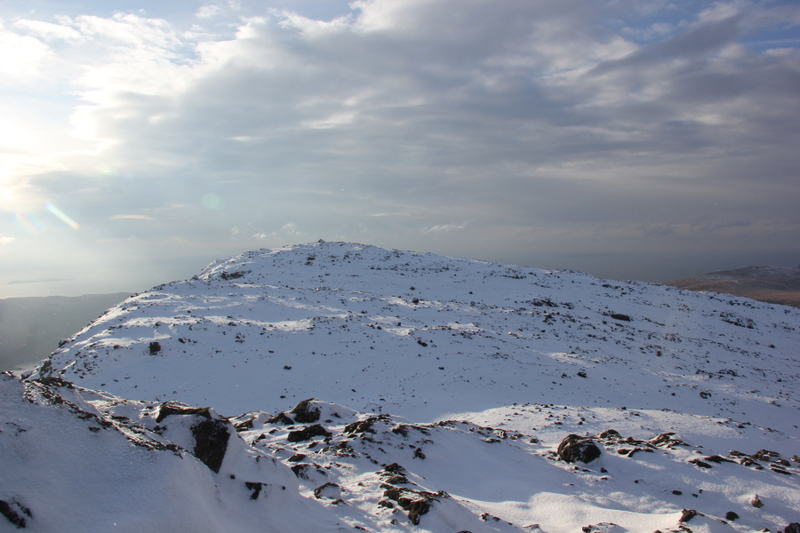 Finding a track leading all the way to the summit was a pleasant surprise. 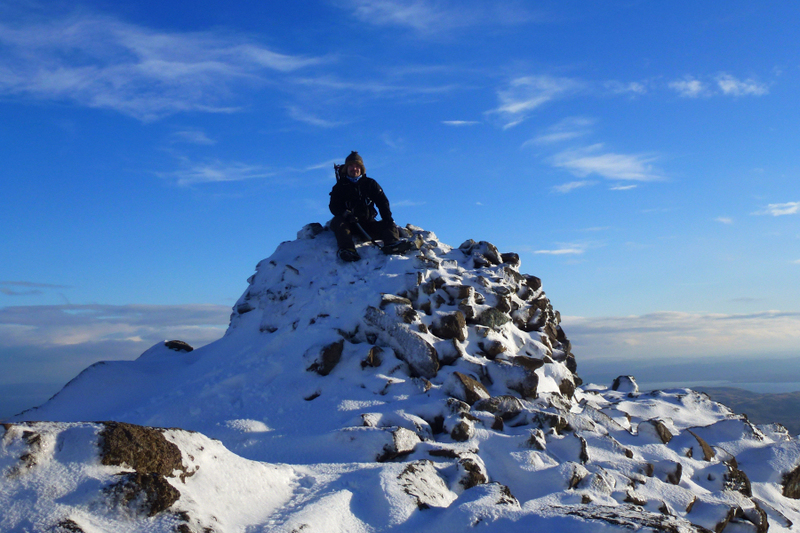 It didn’t take long to reach the summit of ‘S Airde Beinn. 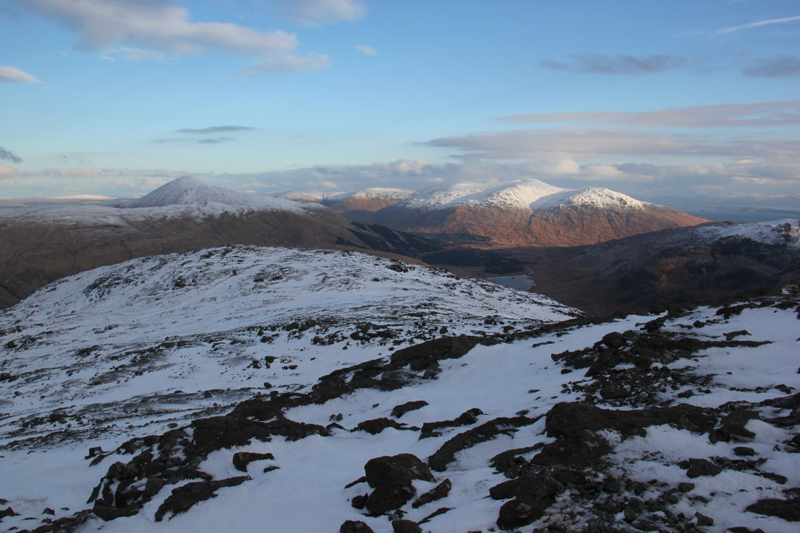 ‘S Airde Beinn is a fantastic viewpoint and a really interesting hill! 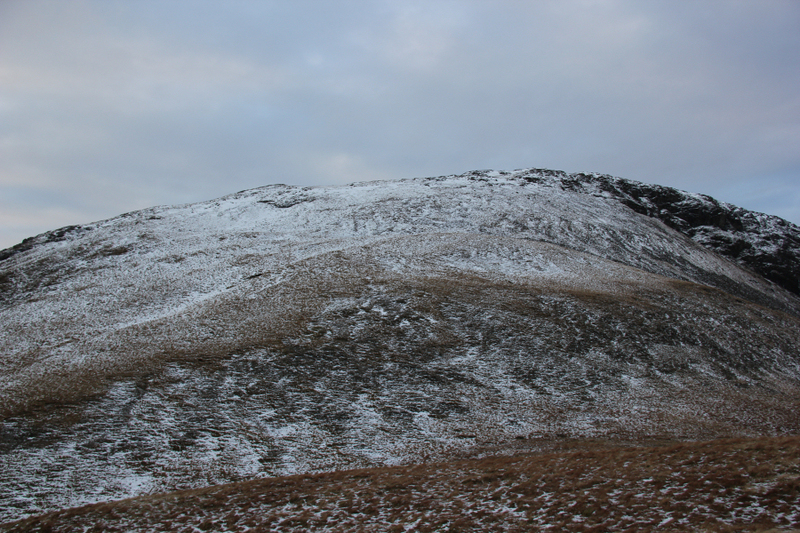 This hill is a Site of Special Scientific Interest. 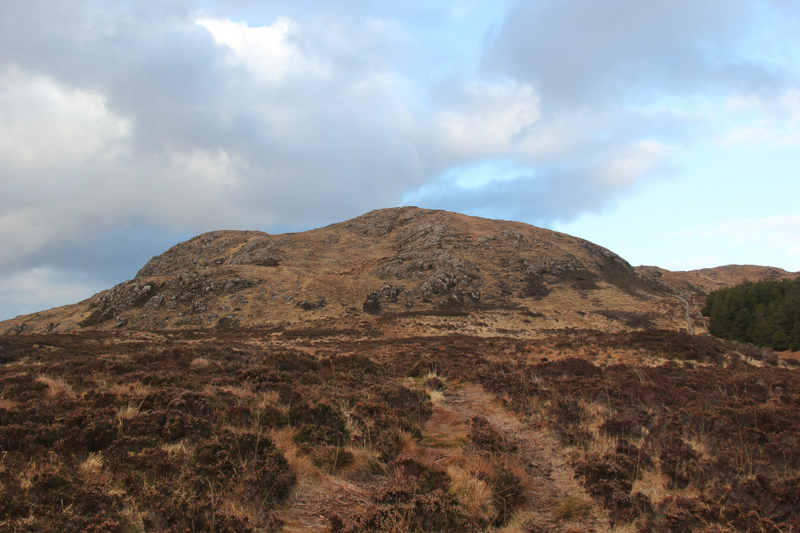 “S’Airde Beinn SSSI represents the remnants of what was once the vent or central core of a volcano. 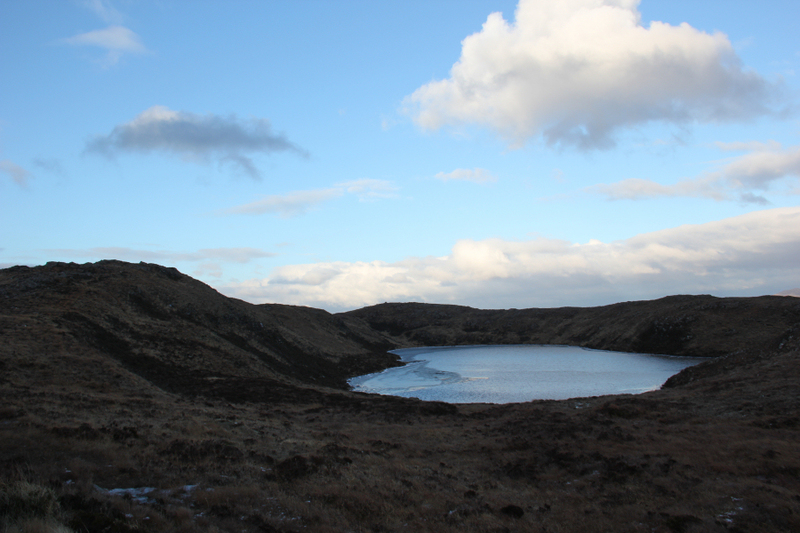 This volcano was erupting lava during the Tertiary geological period around 60 million years ago, when Mull was a major volcanic centre. Molten rock or magma progressively built up in a reservoir, and then fed the erupting volcano. The erupting lava cooled rapidly on contact with the atmosphere, forming a very fine grained basalt. At some stage volcanic activity ceased and the magma remaining in the feeder pipe was trapped and therefore unable to reach the surface. The magma then cooled slowly in the chamber to form a course grained dolerite plug. 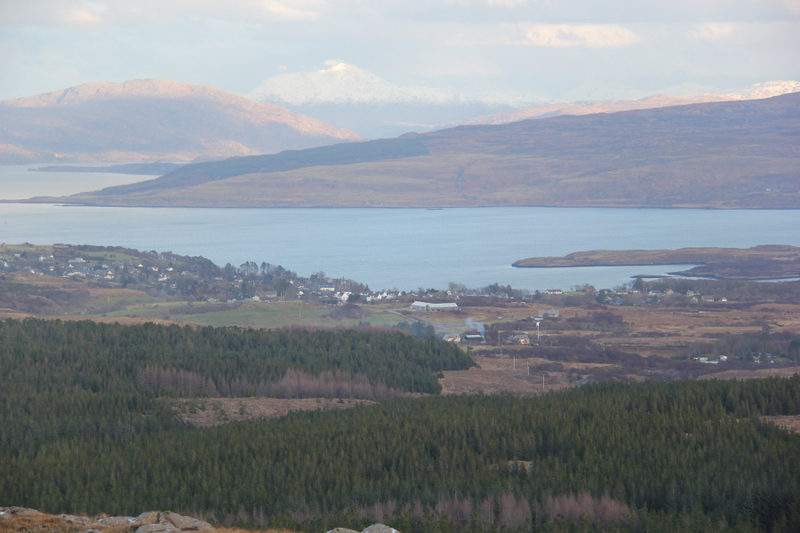 If you are ever visiting Tobermory and want a really easy hill-fix, an ascent of this hill is well worth the minimal effort required to reach the summit. 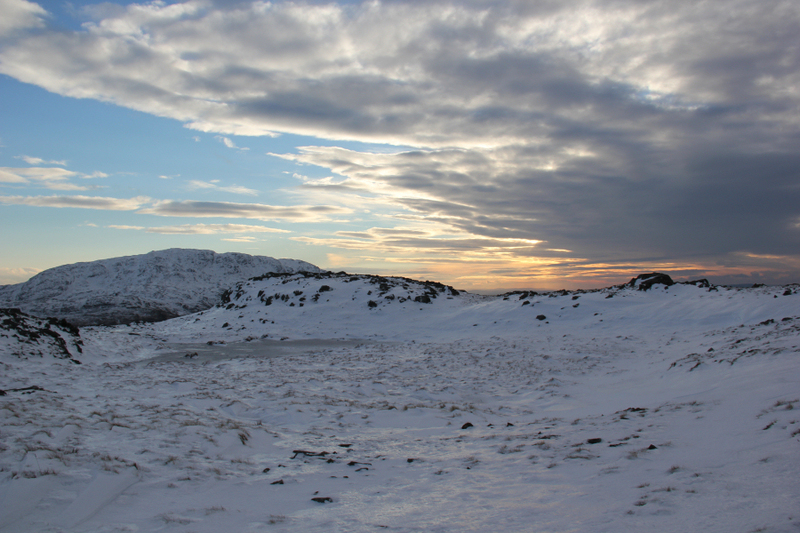 At the summit of ‘S Airde Beinn, we decided to undertake a complete circuit of the volcanic vent, circuiting Crater Lake. Circuiting the vent provides a few good viewpoints. 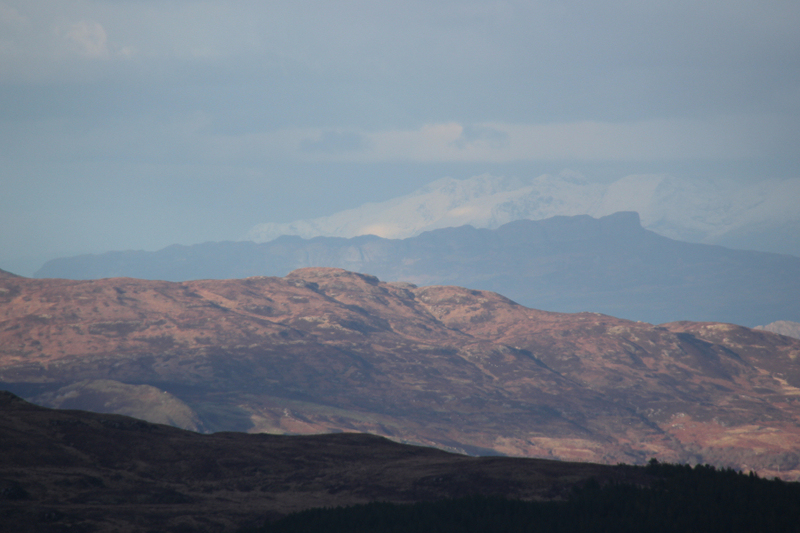 It was nice to look across to Rum, Eigg and Coll. 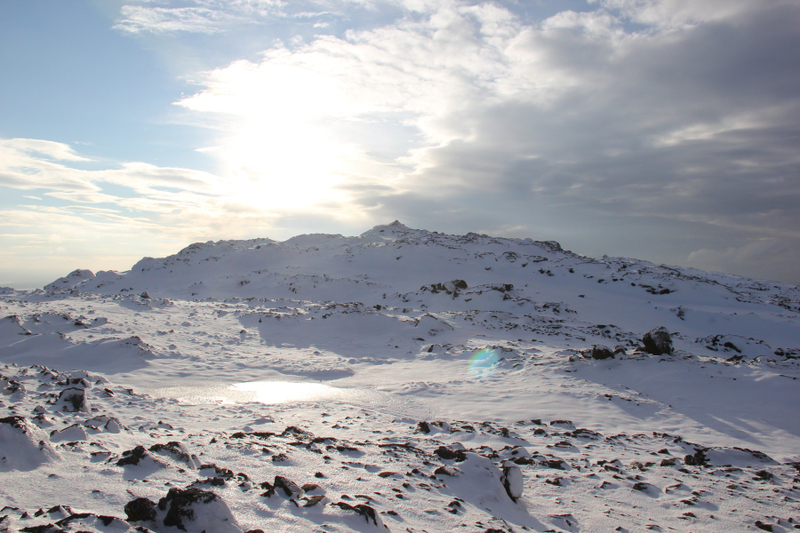 After circuiting the volcanic vent, we followed our in-bound track back to the car. Two really enjoyable hills .